In 1915 Peters Lee and Walter Wisherd converted the steamer Rees Lee into an excursion boat named the Majestic. Way’s Packet Directory recorded the following: “on the main deck were a miniature scenic railroad and a merry-go-round. She tramped New Orleans to the Upper Mississippi and burned in her winter quarters on the Illinios River May 1922” page 304 Ways Packet Directory. (See the St. Louis-Memphis Trans. Co. flyer under Lee Line Ephemra). Gerri, thank you for this information. Was this information related to you by a family member who experienced this event? Do you know if this story was recorded by any newspaper? The Majestic began as the steel hull packet S S Brown and was bought by the Lee Line and renamed REES LEE (after my grandfather Shelby Rees Lee Sr.). My great uncle G Peters Lee bought the REES LEE in 1915 and renamed it the MAJESTIC. Peters Lee must have really liked the name Majestic since he owned a hotel named the Majestic Hotel around 1914. 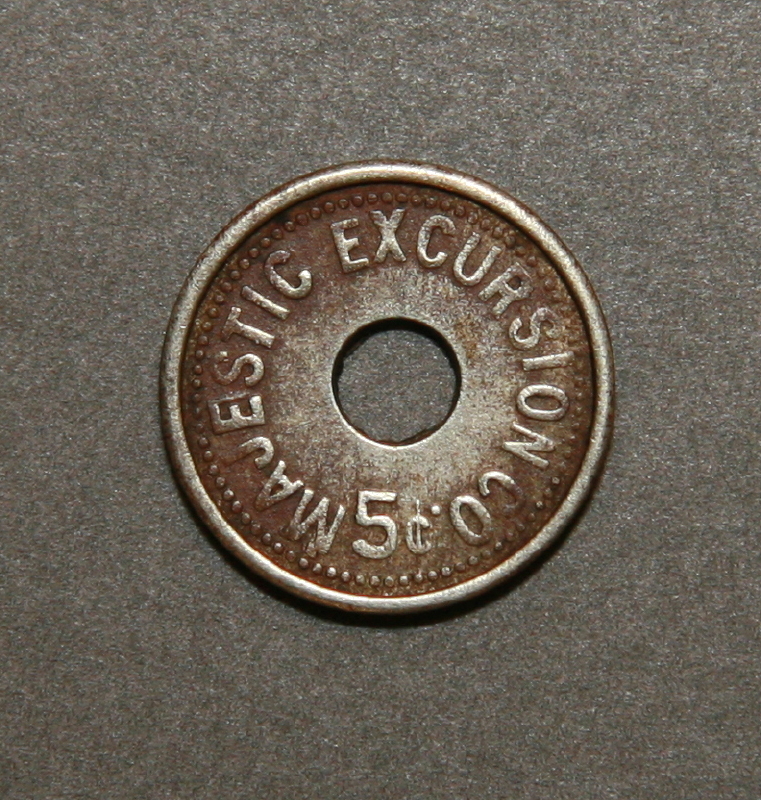 Later the Majestic Excursion Line as formed. If you are interested, I have a copy of the brochure for the Majestic Excursion Line under the Lee Line Ephemera tab. Again, thank you for sharing this piece of history. Did a little bit more research. Evans & Evans, The Leon Bix Beiderbecke Story, says on June 25, 28, July 4 1921, Bix played with the Plantation Jazz Orchestra, Bix (c), Bob Struve (tb) Al Woodyatt (cl) Wadw Foster , Rome Sieman, (p) & Merain “Pee Wee” Rank, Dubuque, Iowa & LaCrosse, Wi. Article also in Bix Man & Legend, by Richard M. Subhalter & Philip R. Evans. Iam a co-author with Rich Johnson on Bix: The Davenport Album, we got our story from Les Swanson. Still unable to find any articles in the papers. Every article in the books says the Captain told the band to keep playing until they could get the people off the boat. Do you have any information on this? were children when this event happened. you refered to could be another boat by the same name that ran on the Missouri River. My brother has a picture of a different Majestic than the one my great uncle G Peters Lee ran.